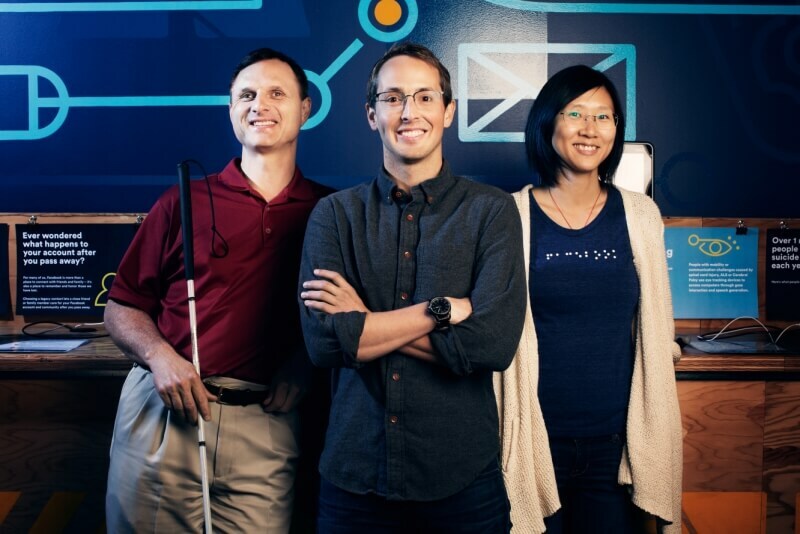 Facebook has launched a new accessibility feature, called automatic alternative text (AAT), that is aimed at blind and visually impaired people. It uses object recognition technology to produce an audio description of what’s shown in photos that are posted on the social media site. Up until now, anyone who used screen readers – software that turns the contents of the screen into speech output – would only hear the word “photo,” along with the person’s name and any accompanying text when an image was shared on Facebook. With AAT, a neural network trained with million of examples will analyze the photos. If it’s at least 80 percent certain it recognizes something in the image, Facebook will convert it into a form that can be read out by the screen reader. The technology is still in the early stages of development; the descriptions are more like summaries of what’s in the photos, and usually sound like: “image may contain: sky, tree, outdoor.” But the object-recognition software is remarkably accurate most of the time, and the team is working on getting AAT to recognize more objects. Facebook is initially testing the feature on iOS screen readers set to English, but it will soon expand to other platforms and languages. Today we’re proud to introduce automatic alternative text, a new feature that provides people who are visually impaired with descriptions of a photo’s content using advancements in object recognition technology. For more info, stop by Facebook Accessibility.